Just as its name, the WISMEC Guillotine RDA is a 24mm diameter rebuildable tank with adjustable bottom airflow to produce smooth flavor and massive vapor production. Here comes a very unique rebuildable tank! The WISMEC Guillotine RDA is 24mm in diameter with adjustable bottom airflow to produce smooth flavor and massive vapor production. 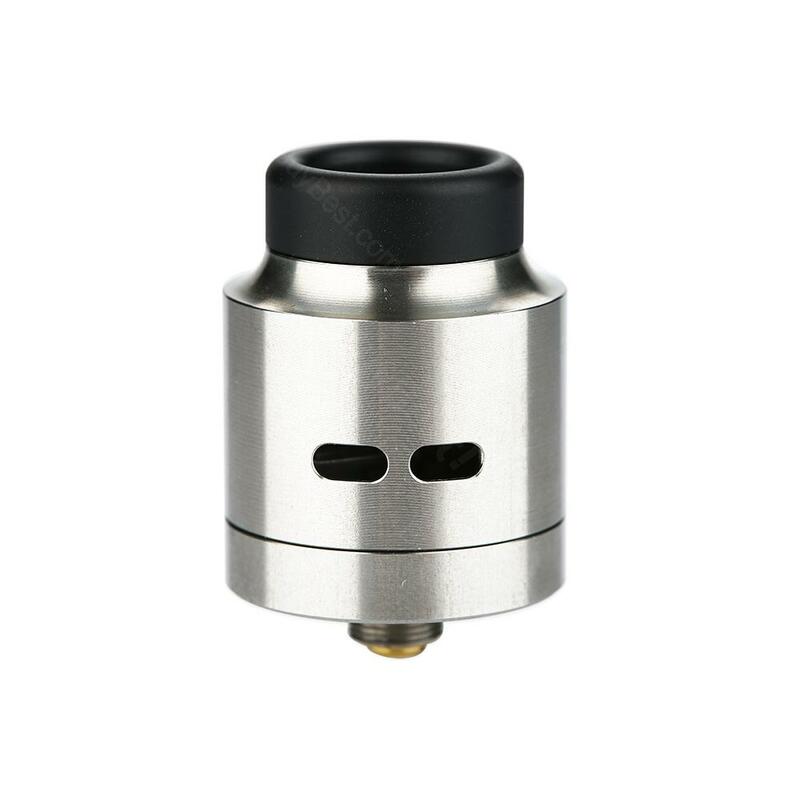 Guillotine RDA adopts innovative guillotine-style posts for easy building on the deck. The attached BF(bottom feeder) pin makes it also a wonderful choice for squonker mod fans. Guillotine RDA will definitely bring you a really cool vaping experience! • 510 thread. Compatible with most 510 thread batteries/ MODs. • You can select the e-juice and Wire, Wick & Tools in BuyBest too. • Best match with Reuleaux RX Machina Kit and Reuleaux RX Machina MOD. WISMEC Guillotine RDA Tank, which has good flavor and vapor production for the price. schönes Design. Ladekabel sowohl liquid mit enthälten. Verpackung und Versand super. WISMEC Guillotine RDA Tank ist gut. Nur zu empfehlen.